Biznextindia : Chinese smartphone brand Vivo today launched the Y91with a 15.80 cm (6.22)Halo FullViewTM Display featuring an almost bezel-less screen to provide an immersive viewing experience for users. With a massive 4030 mAh battery and a dual rear camera setup, the device has been aggressively priced at INR 10,990 pan India across offline and major e-commerce websites. 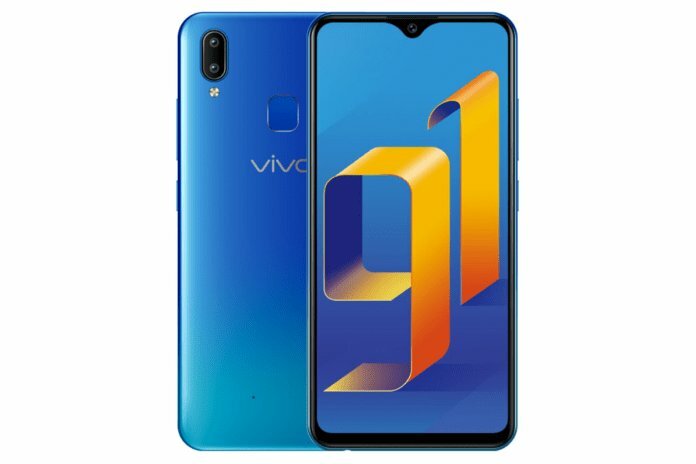 The Y91 will be available in Starry Black and Ocean Blue color variants onAmazon India, PayTM, Vivo India E-store andall offline partner outlets. Like all Vivo devices, theVivo Y91 will be manufactured at the company’s Greater Noida facility. “We at Vivo, are committed to fulfil consumer demands across price segments and have introduced the latest addition to our Y-Series portfolio – Vivo Y91 in the sub 12K category. The device has been ergonomically designed to best suit the needs of young consumers, equipped with the latest technology and several innovative features at a competitive price” Jerome Chen, Senior Vice President, Vivo India said.